Tarık Tolga Gümüş has completed his Masters Degree in Bilkent University in Ankara in the Department of History, after graduating from the Middle East Technical University from the Department of Philosophy. His master’s thesis was related to the European History. Then, he completed his PhD. in the same university in 2007. His PhD. dissertation was about the fifteenth century British history. The author is currently working at Mersin University, Department of History. His areas of interest are fifteenth century English history, aristocracy, gentry class and chivalry. He also teaches the Medieval European History Medieval French, and the history of Early Modern Europe. 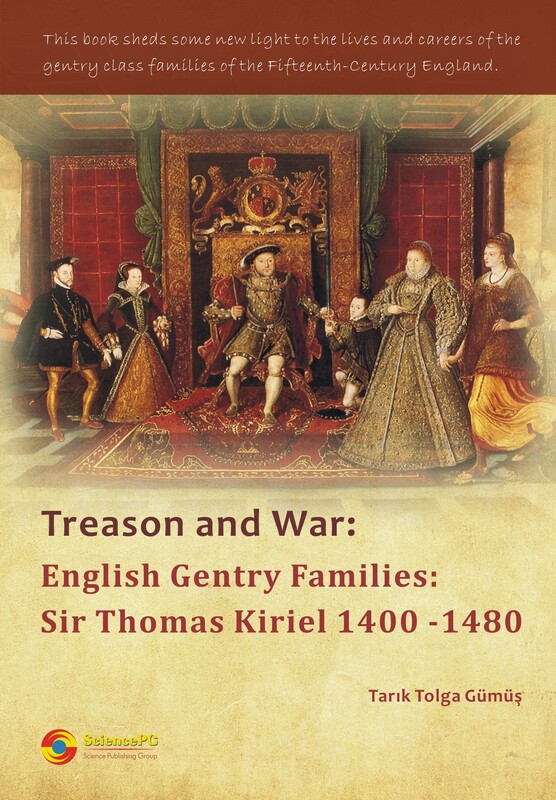 The importance of the gentry class families in the political history of the fifteenth century is becoming more and more apparent in the academic developments of the recent years. Therefore, this book is focused on the life and career of one individual of these gentry families. The life and career of Thomas Kiriel who was the knight of the body and who was actively enrolled in the wars with France in the king’s side are analyzed. The study shows that Thomas Kiriel took his fortune from the land and military service to the king Henry VI. Then when he changed side he was accused of treason and beheaded.